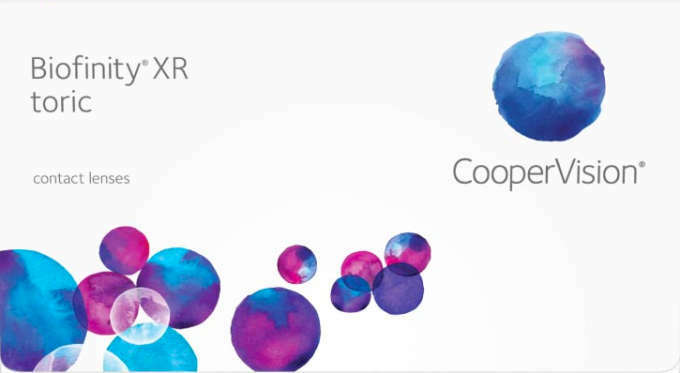 We have taken everything we've learned as the world's toric leader and put it into one incredible, silicone hydrogel lens for astigmatism: CooperVision Biofinity® toric. Biofinity toric lenses are designed for outstanding stability, comfort and visual acuity. They feature Optimized Toric Lens Geometry, uniform horizontal ISO thickness, a wide ballast band, plus a larger toric optic zone. This design quickly orients the lens for better performance and simple fitting.